Reliable guttering & roofing specialists with over 25 years experience. DC & Sons provides quality roofing services in Camberley, Aldershot, Fleet and Farnborough. We’re reliable, trustworthy and provide friendly service at affordable prices. We offer a wide range of services, including a 24-hour emergency service with no call-out charge. We specialise in pitched roofs, flat roofs, fascia, soffits and guttering including flintlock guttering and repairing chimneys. We have an excellent reputation for doing an excellent job at a reasonable price. 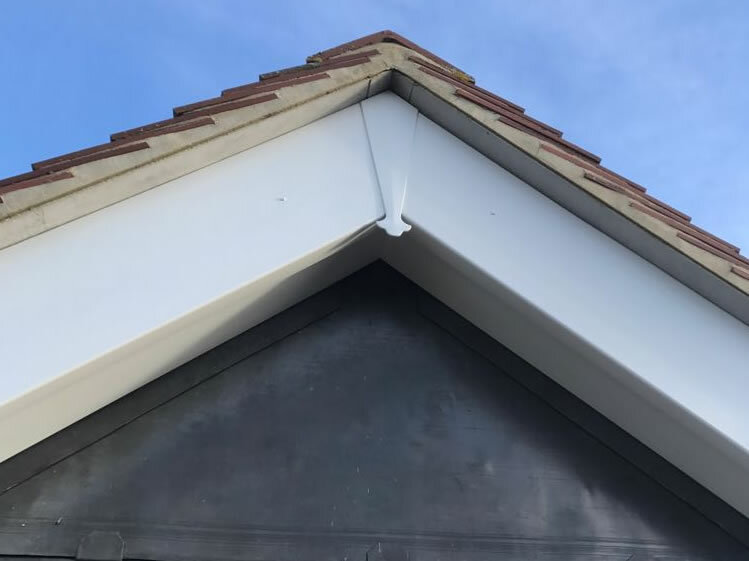 Please read our testimonials for work – we have 90 reviews for our work on roofs, gutters, fascias and soffits on mybuilder.com and 100% positive reviews. We take on roofing jobs of all types and sizes. Whether you’re dealing with a pitched slate or tile roof, or any kind of flat roof, DC & Sons can take care of it. Contact us for a free quote on installing your new fascia, soffit and guttering system. Contact us for a free quote to clean your soffit, fascia and gutters. Contact us for a free quote for repairs to your fascia, soffit and guttering system.